Rising Demand for Workforce, Foreign Nationals or Otherwise, As Oil Spill and Environmental Calamities Worsen in the Gulf of Mexico? With the spread of environmental calamities as a result of the severe and continuous oil leak caused by BP’s Deepwater Horizon oil rig explosion on April 20, 2010 in the Gulf of Mexico of the United States, international cooperation and efforts from various experts which include, but are not limited to the scientific, environmental, and natural oil/gas communities are more sacrosanct than ever. This oil spill disaster is expected to be the worst environmental catastrophe in the U.S. Patches of the oil spill have already washed up on the coastal parts of three U.S. states (Louisiana, Alabama and Mississippi). Before that, the oil spill has also begun to eliminate or severely dampen the livelihood of fishermen and other workforce relying on the coastal and marine economy. Even the U.S. tertiary sectors relying on the coastal or marine economy are severely affected. This oil spill catastrophe could not come at a worse time given that the U.S. and many international communities are still trying to ride out of the economic downtown. At the same time, we will see a shift of demand for other types of workforce, and the creation or increase of other types of jobs and industries. As a result of this environmental and economical catastrophe caused by the oil spill in the Gulf of Mexico, we expect to see a rising demand for wide-ranging and diverse specialized professionals in the U.S. to combat the increasingly evident and potential astronomical environmental disasters. These professionals, whether they are U.S. residents or foreign nationals, may range from scientists, engineers, environmentalists, researchers, environmental and other economists, biologists, oceanographic professionals, atmospheric professionals, medical/legal/financial/insurance/business experts, geologists, and/or alternative/clean/other energy experts. Qualified and eligible foreign national experts, professionals or technical personnel are, therefore, likely to see increasing opportunities to fill the needs in the U.S. to resolve the oil spill and related environmental, industrial and economic catastrophe. There are many types of immigration options which would allow such qualified workforce to enter or remain in the U.S. to help resolve the oil spill and pertinent matters. 1. H-1B specialty occupation professionals work visas. 2. H-2 seasonal or temporary worker work visas. 3. E treaty trader/investor work visas. 4. TN NAFTA country work visas. 5. 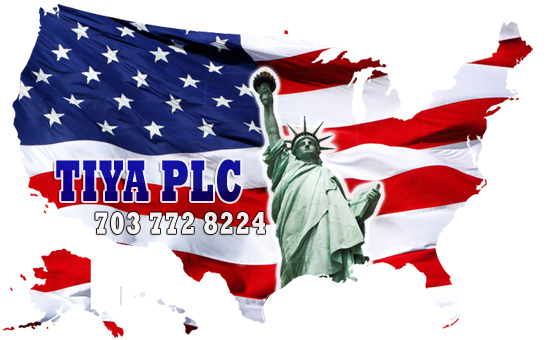 L-1 intra-company transferee work visas. 6. O-1 extraordinary ability work visas. 1. Employment-Based (EB-1) extraordinary ability green card status. 2. EB-1 multinational managers/executives green card status. 3. EB-2 outstanding researcher/professor green card status. 4. EB-2 national interest waiver green card status. 5. EB-2 exceptional ability green card status. C. Depending on the foreign nationals’ credentials and eligibility, and the types of immigration option being sought, the foreign nationals may or may not require any existing or new employer-sponsors. This would be an opportune time to call for concerted efforts from all qualified professionals and workforce, whether they are in the U.S. or abroad, foreign nationals or otherwise, to explore their expertise and opportunities to help overcome the environmental and economical problems caused by the oil spill in the Gulf of Mexico. Ultimately, the adverse and wide-spreading environmental and economical impact from this oil spill is inherently non-adherence to national borders, and is therefore, an international concern as opposed to just a U.S. crisis. We represent employers, and individuals and their families in green card and work visa matters in U.S. immigration law. We represent clients within the U.S. and abroad. News Headlines: Haitians who are in the U.S. illegally will likely be able to apply as early as Thursday to temporarily stay in the United States. U.S. Consulates in China are Opening on Saturdays for Several Weeks!